Beautiful handmade pendant made by me in my studio by the sea in iconic Byron Bay, Australia. 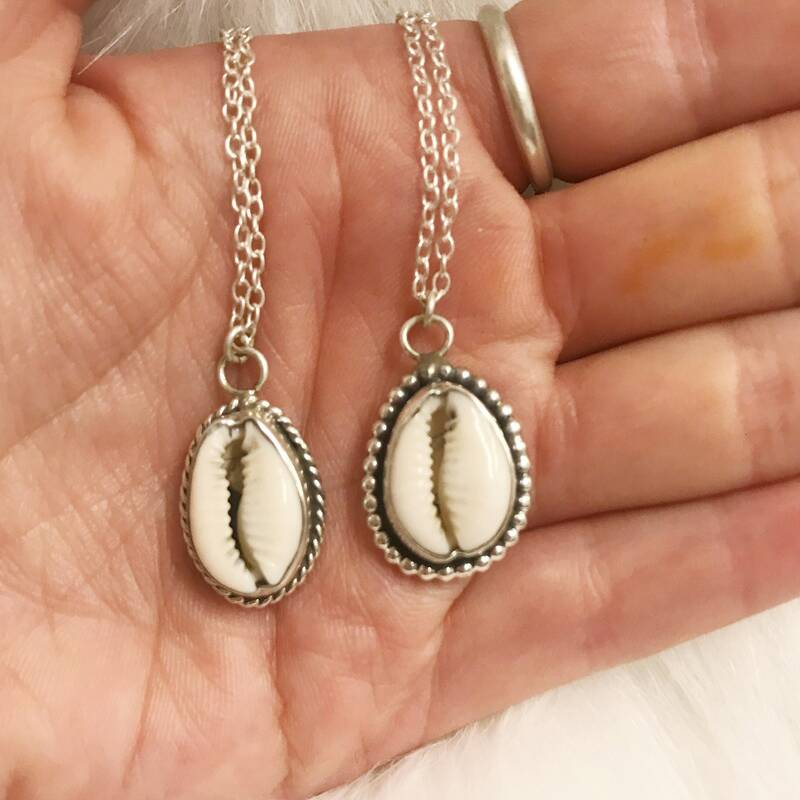 Inspired by the ocean, this necklace features a hand-selected cowrie shell and is made from 100% Australian made eco-friendly recycled sterling silver. Comes on a 45cm chain. I can however provide a custom chain length, just ask! 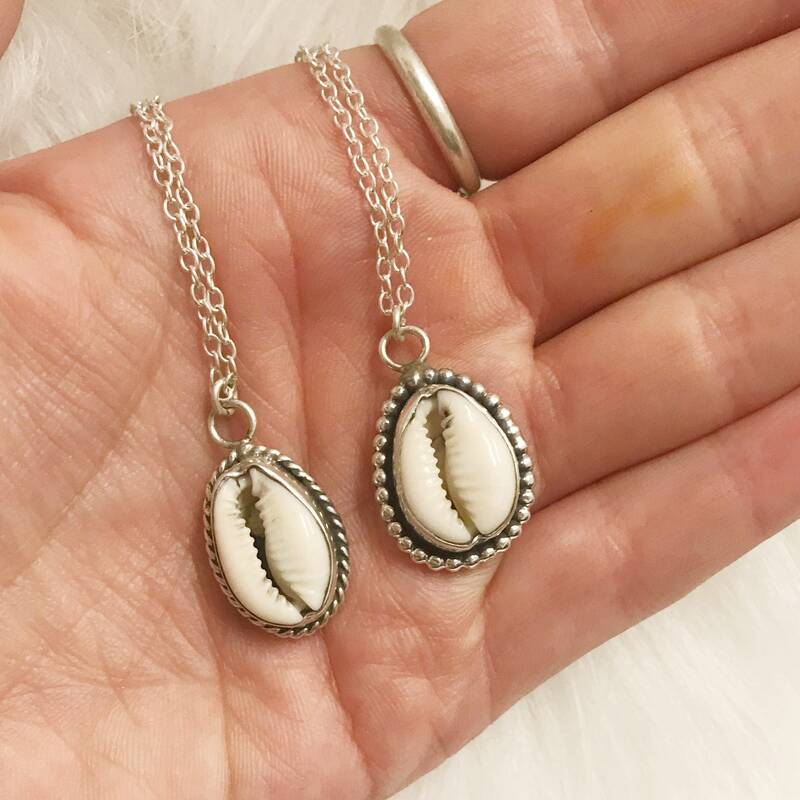 Please remember this is a handmade item, although all care and professionalism goes into making each piece, small imperfections may be present, it’s all part of the charm of buying handmade! I accept PayPal & all major credit/debit cards for all sales but am happy accept a direct deposit for Australian buyers, please contact me if you would like this option. PayPal & credit card only for all sales outside Australia. Please pay promptly, if there is any delay, just let me know! If you have not paid or have not got in contact with me to arrange payment within one week, I will cancel the sale. Orders of Sterling silver jewellery in Australia have a tracking number, overseas have a standard shipping option which does not have a tracking number. Please be aware that if you go with this option, it is not my responsibility for any items lost in the post. Upgrade to tracked international shipping is now available, highly recommend for more expensive items and custom orders. If you ordered multiple items and have overpaid for shipping, let me know and I will combine shipping as best as I can and send you back the difference. Please remember that shipping costs also include the costs for packaging supplies and the time it takes to package orders and go to the post office etc. Let me know if you think your item may be lost in the post, in my experience it can take up to 4 weeks for international orders to arrive, and 6 weeks in busy periods. Please remember that I am in Australia, not the US. Also, to help the environment, please recycle or reuse the packaging! All sales are considered final as most items are made to order to the customer's specific ring size. If there is a problem with something you've purchased, please contact me right away and we will work something out. Every problem is slightly different, as are the solutions. I do not offer refunds on lost items but I am able to replace something that is lost in the mail. If the item you have ordered is a one off, I will contact you and find a suitable replacement. Please be aware for all made to order rings, you will not receive the exact ring in the photo, this is a guide only. I will select the closest stone in colour and shape that I have in stock to make your ring with. If you have any questions, concerns or ANYTHING, please contact me! It is the best and easiest way for everyone to be satisfied with the transaction.